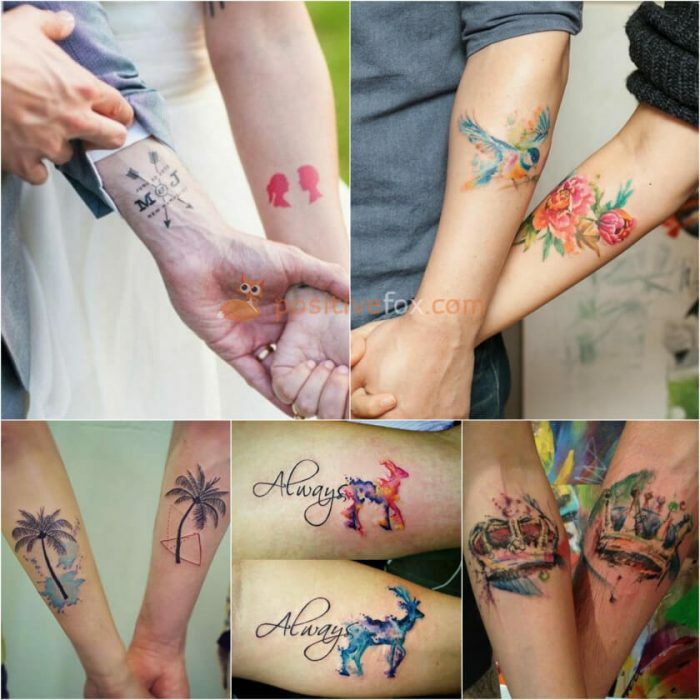 Tattoos for couples have become very popular in recent times. When two people love each other, they grow closer together over time. 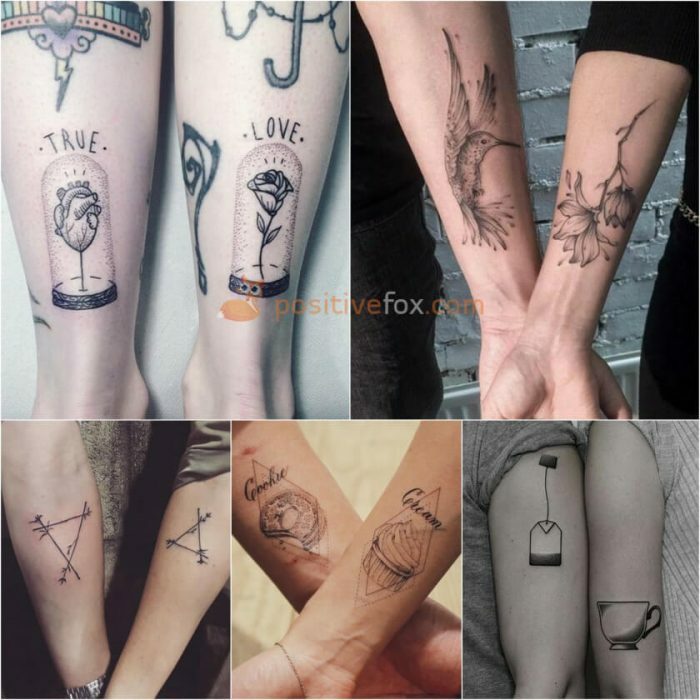 Couple tattoos have a special meaning that connects the loving pair even more. 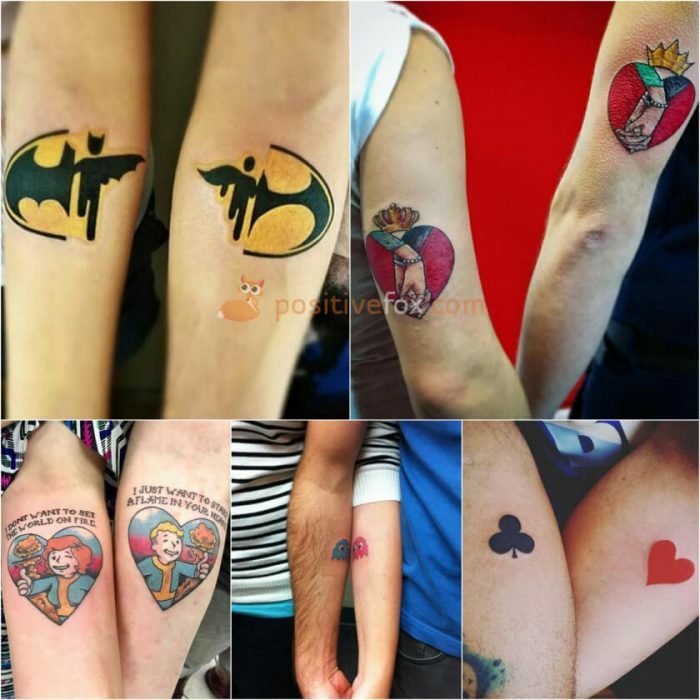 Couples who are in love can choose from many different types of tattoos. 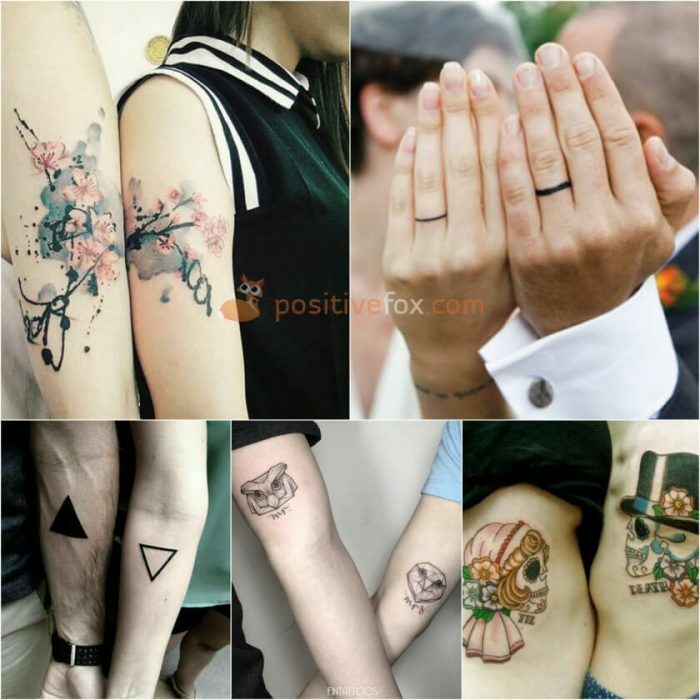 Men and women who want to represent their love for each other with a stylish design can be very creative when it comes to tattoo ideas. 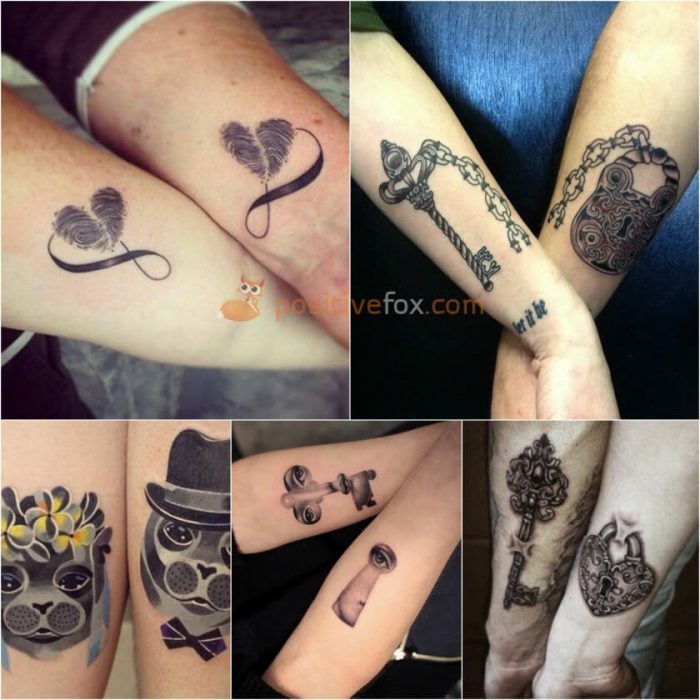 Many couples decide to design a tattoo that symbolizes their love, devotion and affection for each other. 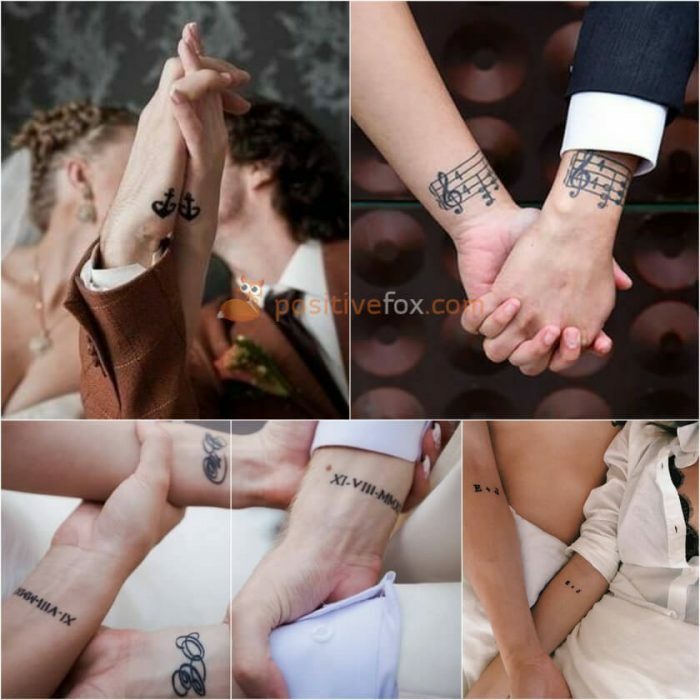 However, the intrinsic meaning of a tattoo can be different for each couple. 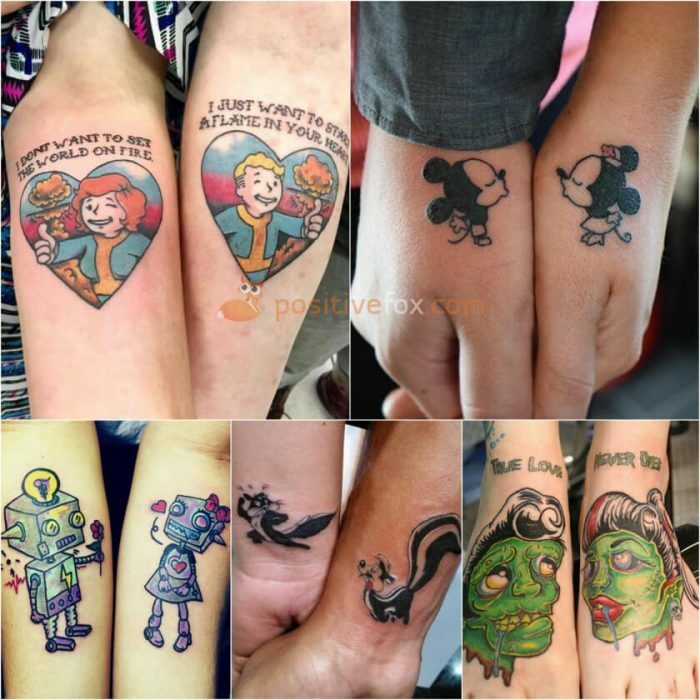 Deciding on tattoos for couples is a much more involved process than for an individual tattoo. A lot of thought goes into all of the details to make sure that each partner’s design choices have been taken into account. 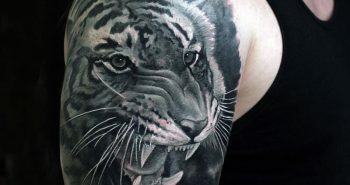 This includes the style and size of the tattoo, as well as the placement. 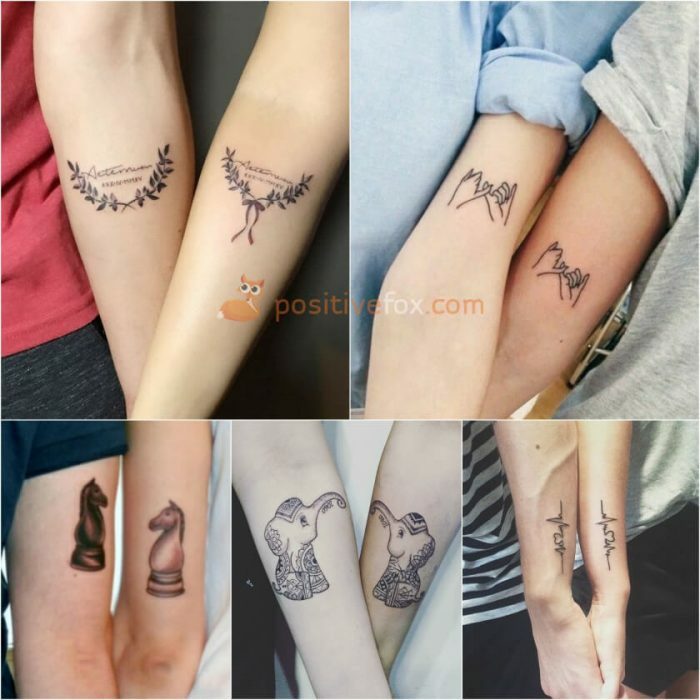 The most popular version of matching tattoos is two standalone images that have added meaning and completeness when they are combined. 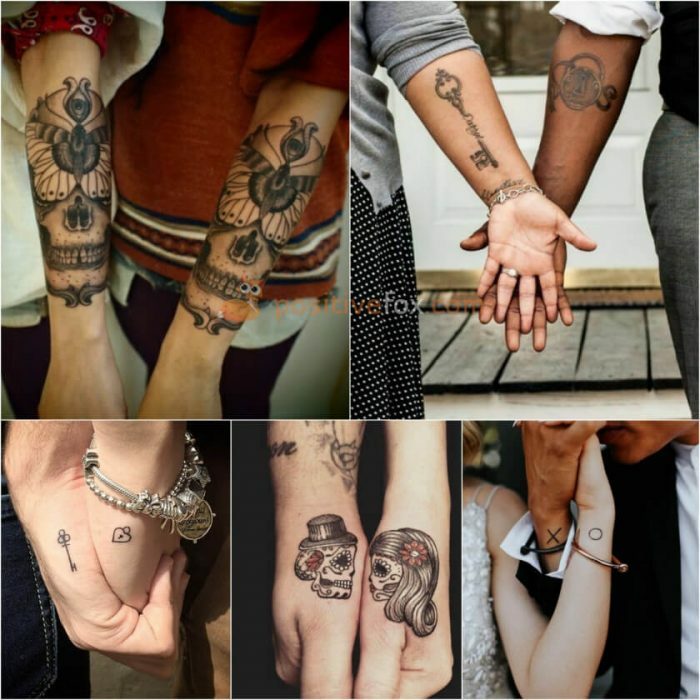 This is one of the most popular tattoo designs for couples. 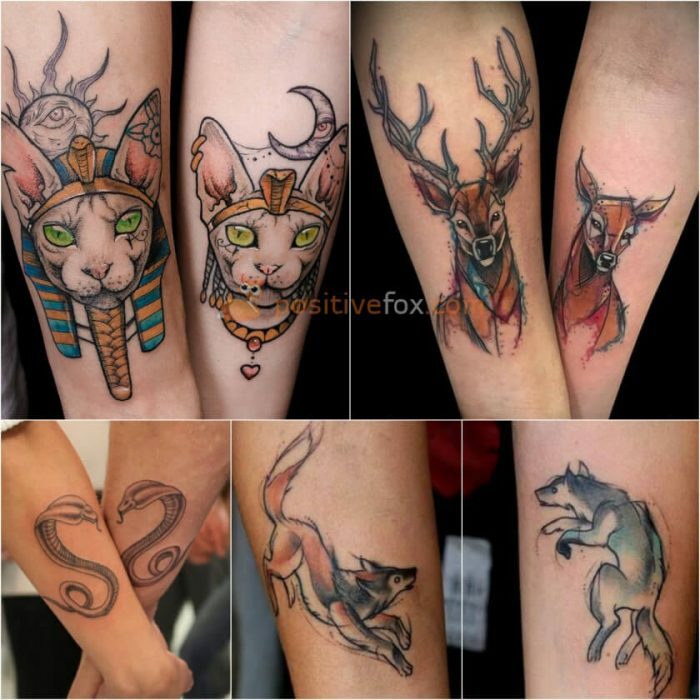 These tattoos always look interesting, but it is important to choose the right design. 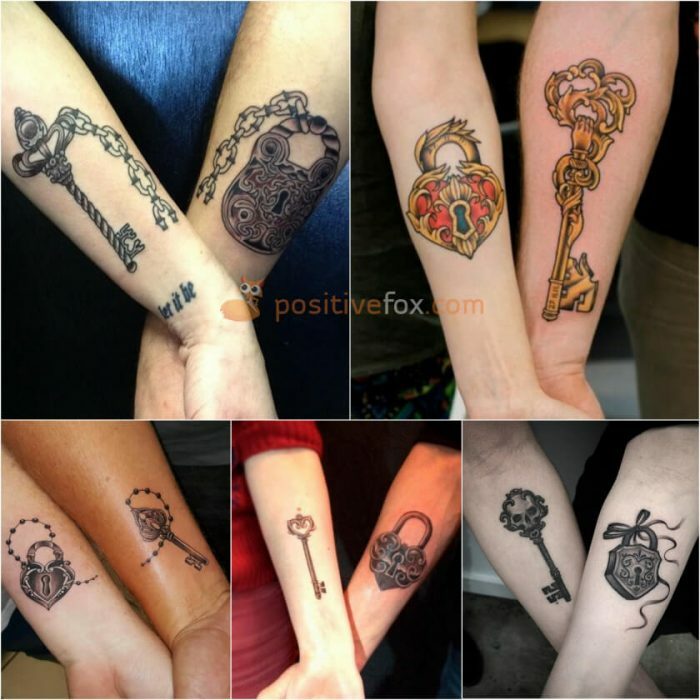 Realistic old padlocks and keys, adorned with small decorative elements are very appealing. Add details that a have special meaning for the couple to the design, for example precious stones. 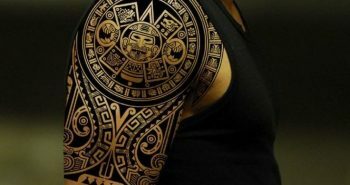 This style of tattoo is best done in monochrome, Chicano or New School style, and it can be decorated with roses and ribbons. 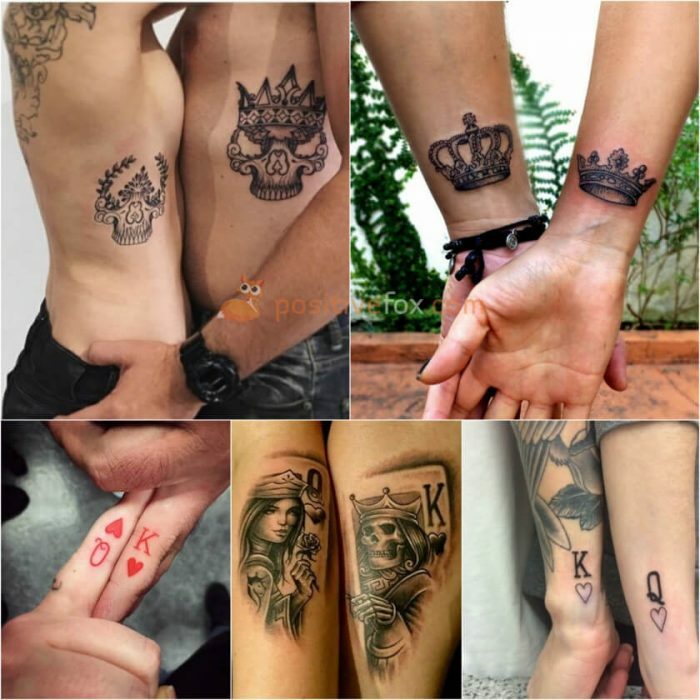 Realistic portraits inscribed on the playing cards can perfectly convey the meaning of this tattoo for the couple. 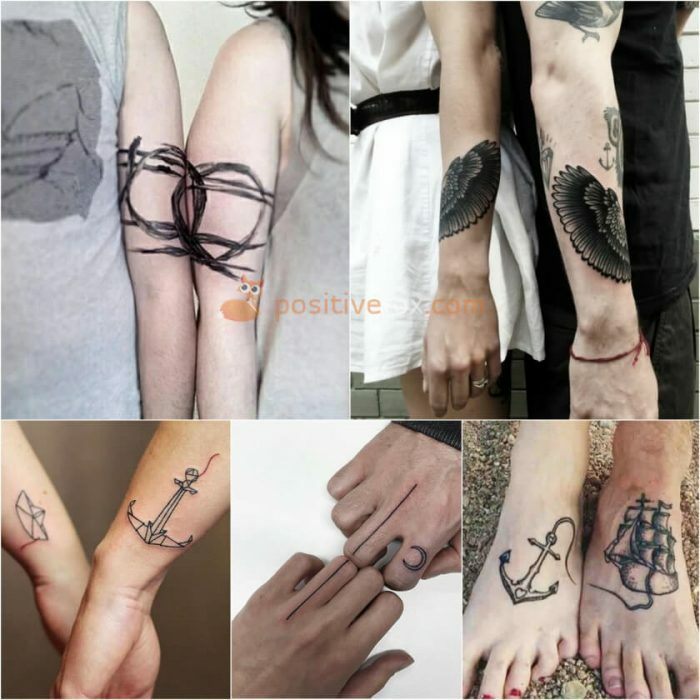 Those who prefer nautical themes, will love the small paired tattoos of an anchor and a ship’s wheel or identical fish in different colours on the wrists or ankles. 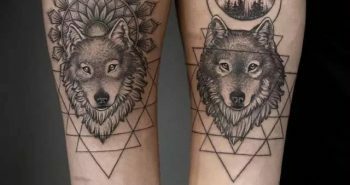 Identical tattoos are a win-win option. 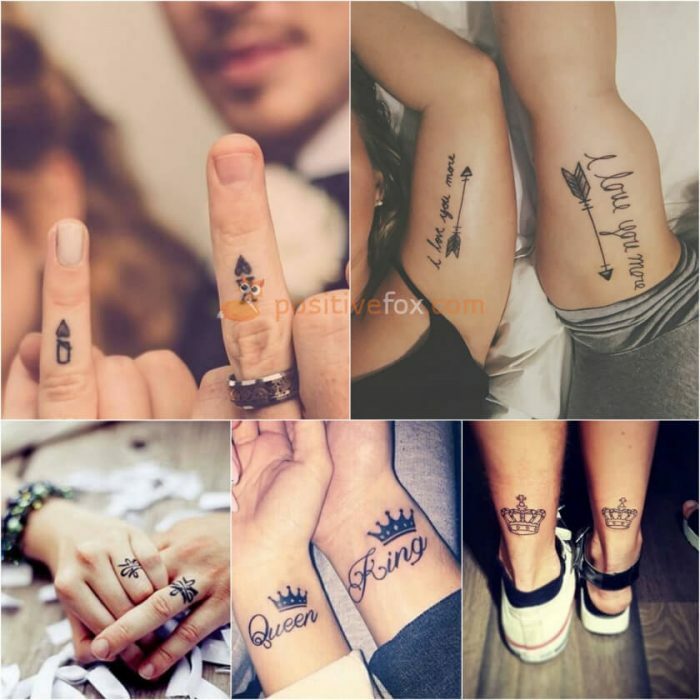 When you are together, these tattoos will help accentuate the mutual affection and feelings you have for each other. Even when you are apart, your tattoo will remind you of your significant other. 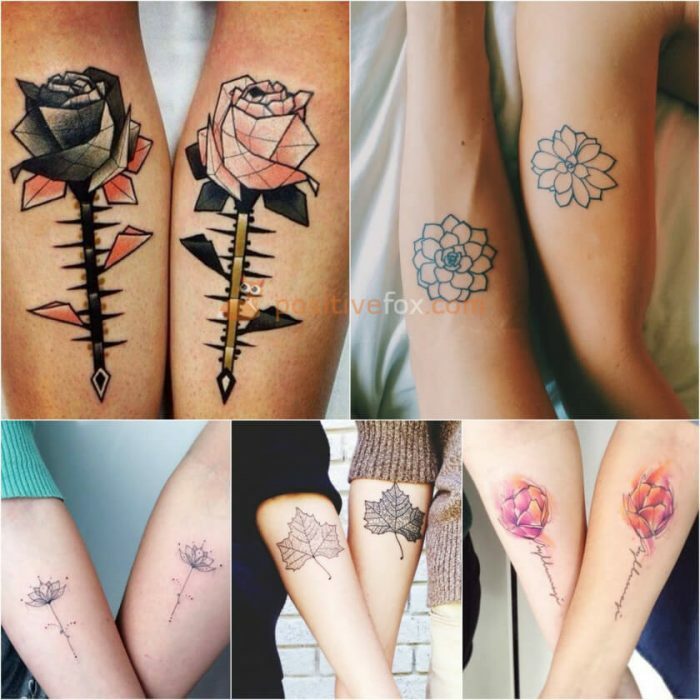 Matching tattoos are typically small in size. Virtually any image that has a special meaning for the lovers can be the main theme. 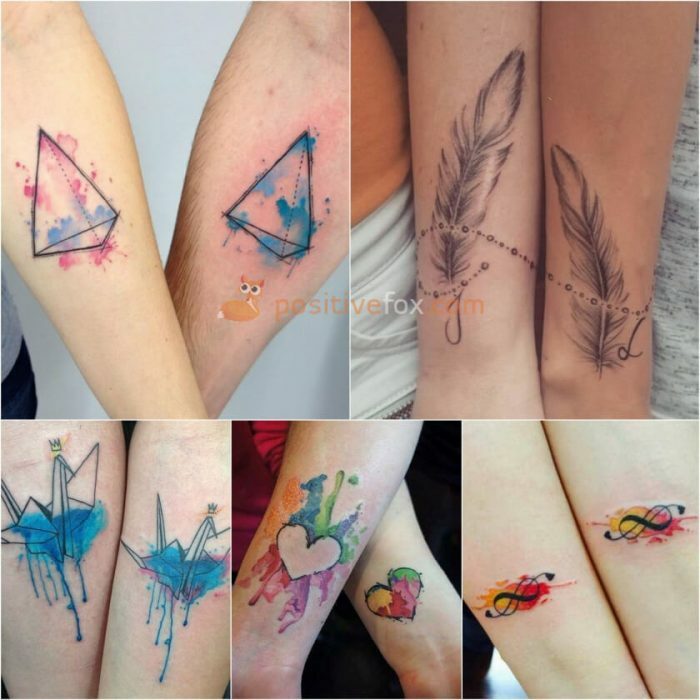 Fans of watercolor tattoos will want to consider small and vibrant feathers, which indicate the purity and strength of the feelings connecting the two people. 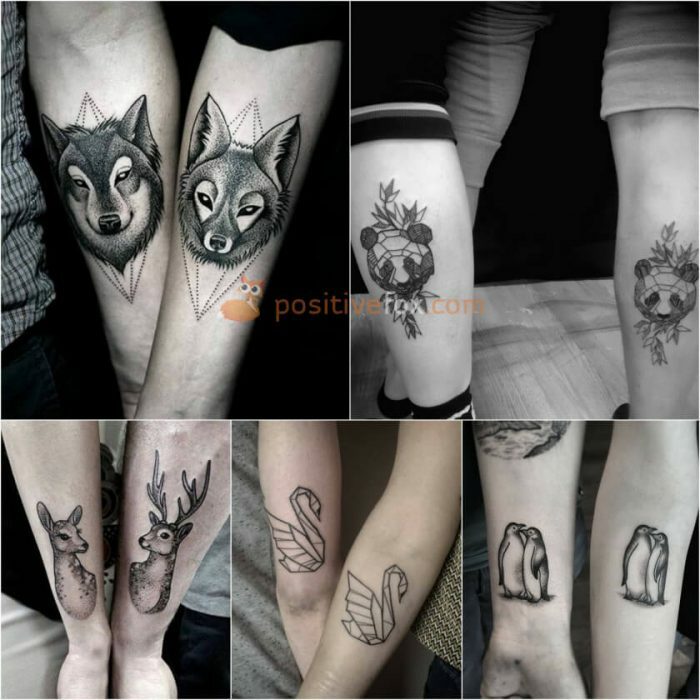 If a couple wants to incorporate animals in their tattoo design, the best ones to choose are those that symbolize love and affection like deer, horses, doves, swans or ladybugs. This also applies to friends. 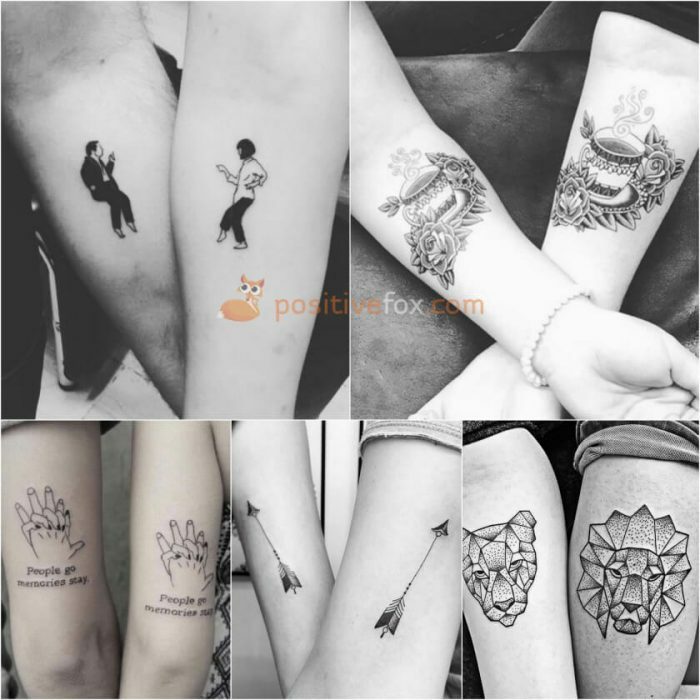 In China, the symbol of friendship is the panda, so why not decorate your body with a cute black and white bear, resting on some bamboo plants? Your mutual feelings can also be expressed with identical images of plants. For example, red and white roses, forget-me-nots, red tulips, honeysuckles, etc. 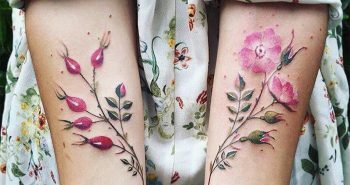 There are also many plants that represent friendship: chrysanthemums, acacia, twigs, pear flowers, yellow carnations and roses. 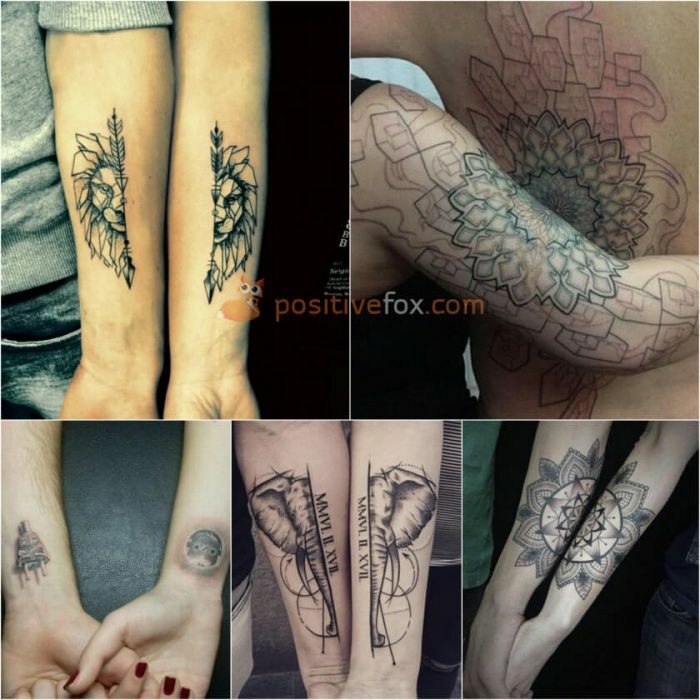 Matching tattoos or tattoos with similar subjects are a great option for people who have similar tastes. 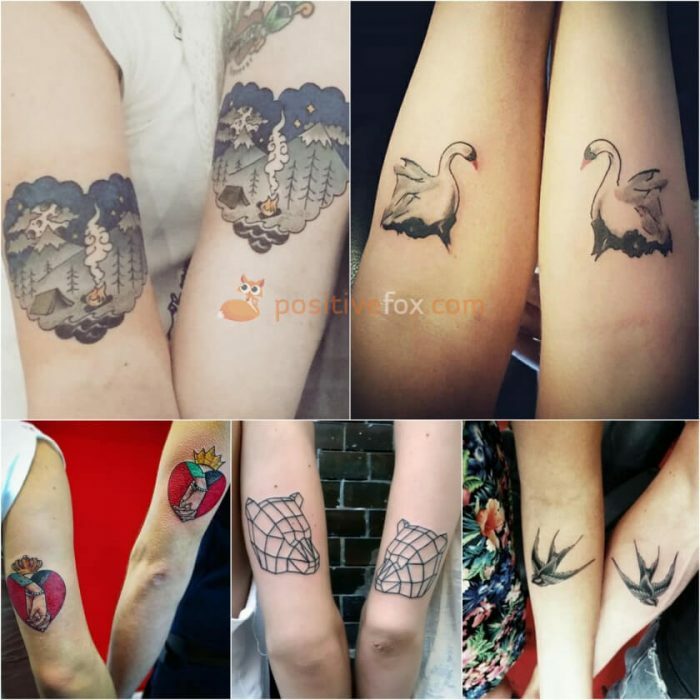 Matching tattoos are flexible – the theme can be absolutely anything. 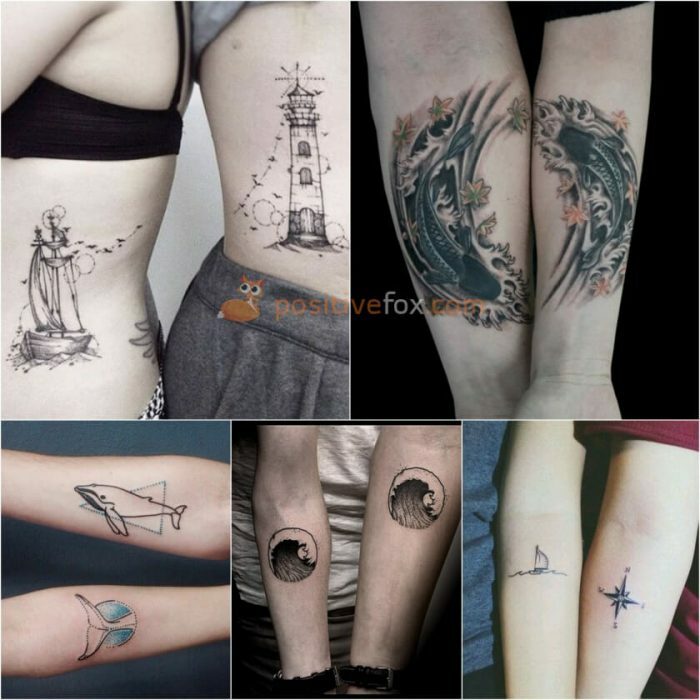 For example, one half of the couple may have a tattoo of a lighthouse, and the other, a ship. This combination can stand alone, but will also be very meaningful when together. You can choose sketches with different animals in the same style. For example, a wolf and a fox or a cat and a dog. Celestial bodies – the sun, the moon and the stars. 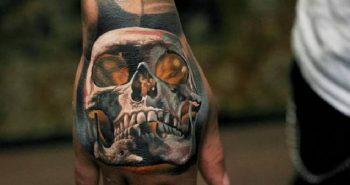 With this style of tattoo, everything depends on your common interests. If you love the same films, books or games, then you can choose characters that have a particular relevance for you. 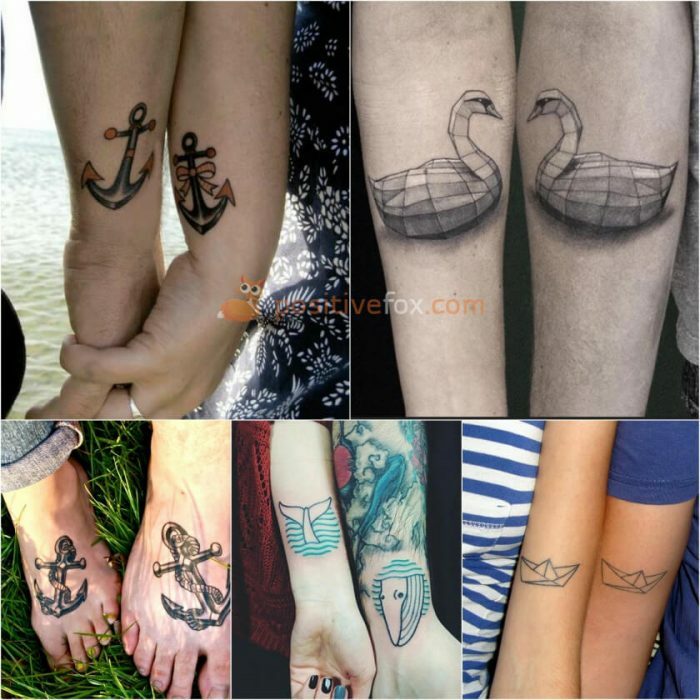 You can also consider an idea that is abstract and reflects your desire to capture a symbol of your love or friendship. It can also be based on a funny shared experience that amuses both of you. 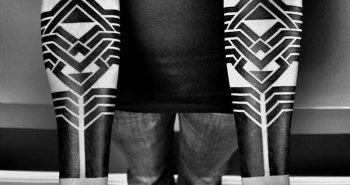 Couple Tattoos: What is the best body part to get a tattoo? 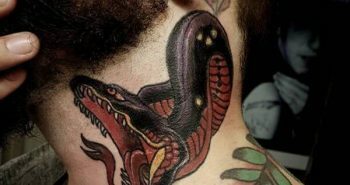 There are no restrictions on which part of your body you choose to place a tattoo. 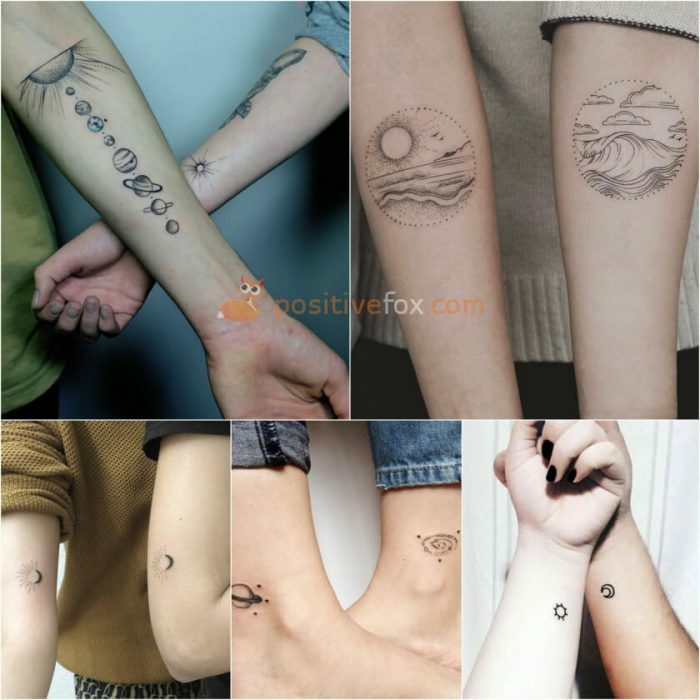 It can be in the most secluded place on your body, so that only you and your other half will know about or you can choose somewhere that is more obvious like your hands or ankles.